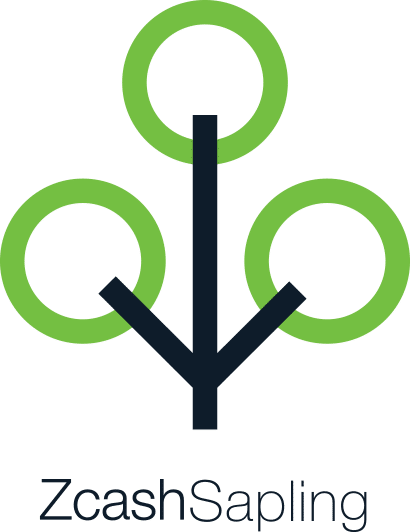 Sapling is a network upgrade that introduces significant efficiency improvements for shielded transactions that will pave the way for broad mobile, exchange and vendor adoption of Zcash shielded addresses. Payments involving the new Sapling z-addresses can be constructed in as little as a few seconds and with only 40 megabytes of memory. Allows the hardware that constructs the zero-knowledge proof to be independent from the hardware that signs for the transaction. Full viewing keys allow owners of shielded addresses the ability to view incoming and outgoing transaction details without exposing their private spending key. Update your Zcash client to 2.0.0 or above. Nodes which haven’t updated will exit with an error message requesting an update prior to the upgrade. The only way you will miss the upgrade is if you are running your own full node and manually configured your client to continue running the legacy software. Users upgrading from earlier 1.x releases will need to download the additional Sapling parameters which are just under 800MB in size. For support of Sapling in the RPC interface, you will need version 2.0.1 or above. Third-parties who wish to be included in this list should email [email protected] with a link to your official statement of intent for Sapling support.